People flock to Santa Fe's Pollo Asado food truck for its mesquite-grilled chicken. The secret is the citrus and achiote seasoning, which co-owner Olivia Arizmendi learned from her sister in Mexico. They tuck the meat into telera rolls and add pickled onions, hot sauce, and shredded iceberg lettuce. Mashed avocado makes it even better. 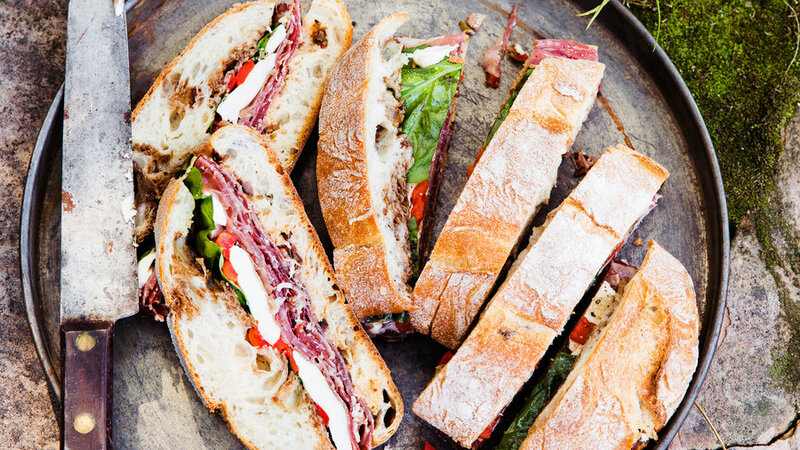 At Napa Valley's Contimo Provisions food truck, chef-owners Ryan Harris and Kevin Folan bring fine-dining creds and from-scratch components to their craft. 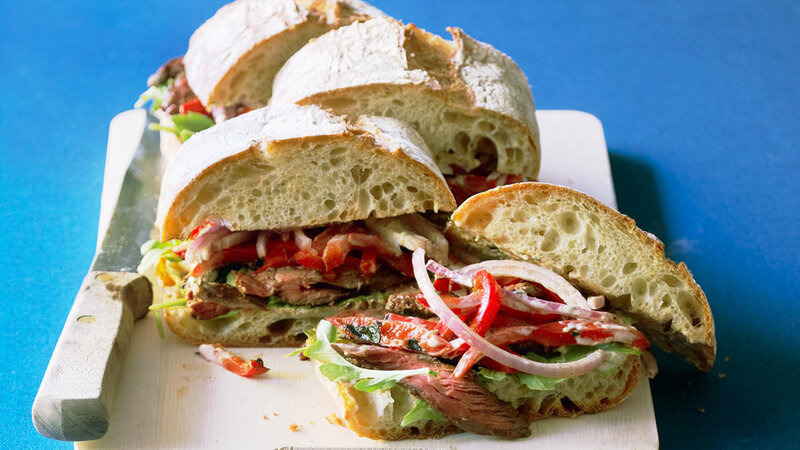 For this take on one of their best-loved sandwiches, pile grilled skirt steak (seasoned with garlic, salt, and pepper), homemade pico de gallo, and cilantro sprigs onto sandwich rolls. Their bean spread takes it to the next level—although they use freshly simmered dry beans, this simpler recipe using canned pintos or pinquitos also delivers lots of flavor. 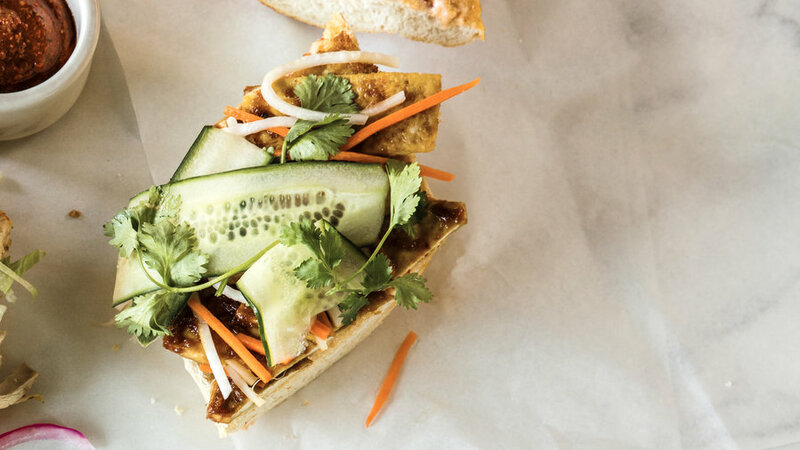 The vegan bánh mì by San Diego's TigerTiger, a pub specializing in sandwiches, is every bit as hearty as its meaty cousins. The original recipe is complicated, but you can create a delicious version fairly quickly with a few shortcuts: Toss shredded daikon and carrots with seasoned rice vinegar; season mayo with minced chipotle chile; and season hoisin with minced ginger and lemongrass. 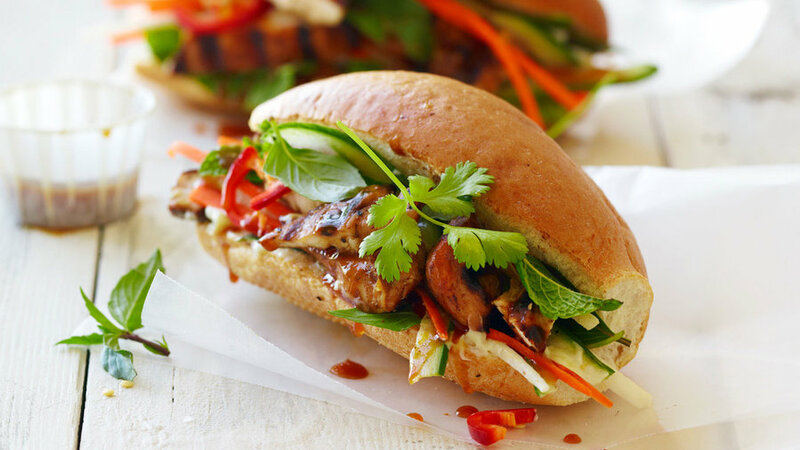 Layer into a baguette with sprigs of cilantro and this super-flavorful tofu. 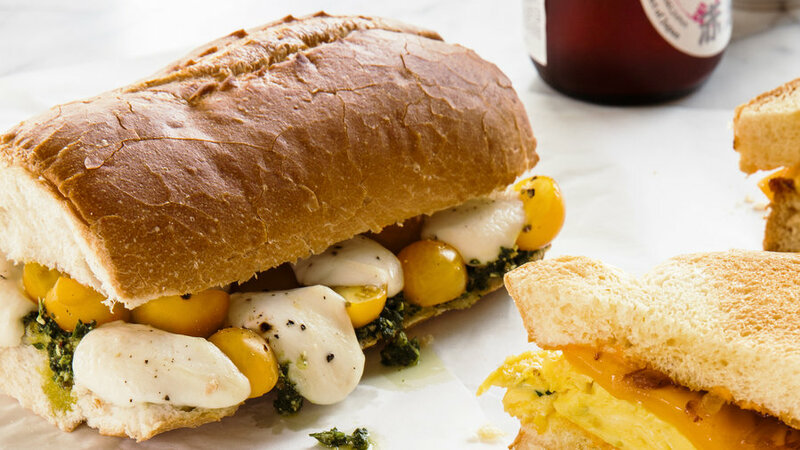 For a sandwich rendition of the classic Italian salad, Homegrown Sustainable Sandwich Shop (located in San Francisco and the Seattle area) loads up French or whole-grain sandwich rolls with cherry tomatoes (such as Sun Gold) and mini mozzarella balls. A thick layer of pesto makes it extra-memorable. Then the sandwiches bake just until the bread gets crusty and the fillings soften. You might be perfectly fine with your usual egg-and-cheese sandwich—until you try the version at L.A.'s Eggslut. 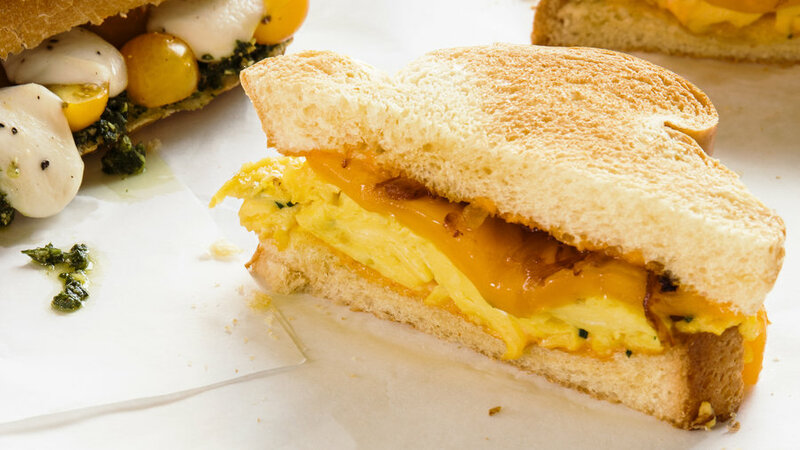 On slices of warm brioche spread with Sriracha mayo, the cooks layer soft-cooked eggs, caramelized onions, and a thick slice of sharp cheddar cheese such as Tillamook (the cooks briefly heat a cheese slab in a nonstick pan on the stove to melt it slightly before adding it to the sandwich). Think of the flavors of buffalo chicken, but grilled instead of fried. 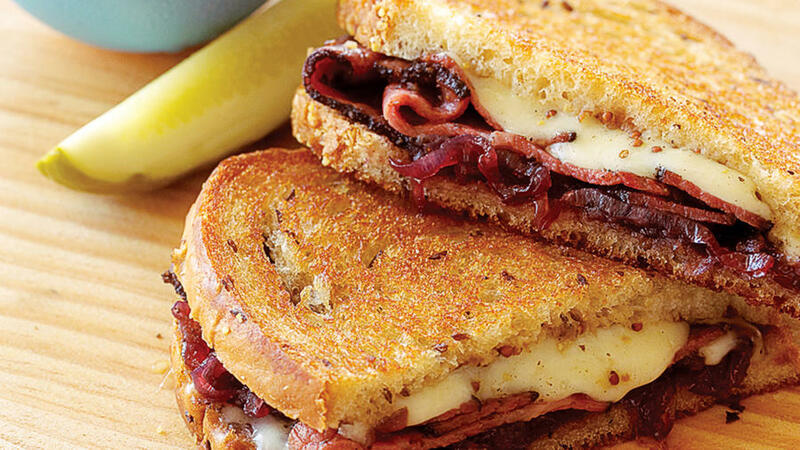 These hearty sandwiches pack beautifully for toting along on a tailgate in the fall, and perfect for a picnic or the beach in the summer. In the streets of Palermo, Sicily, you'll find panelle, fried chickpea-flour patties served on a roll. 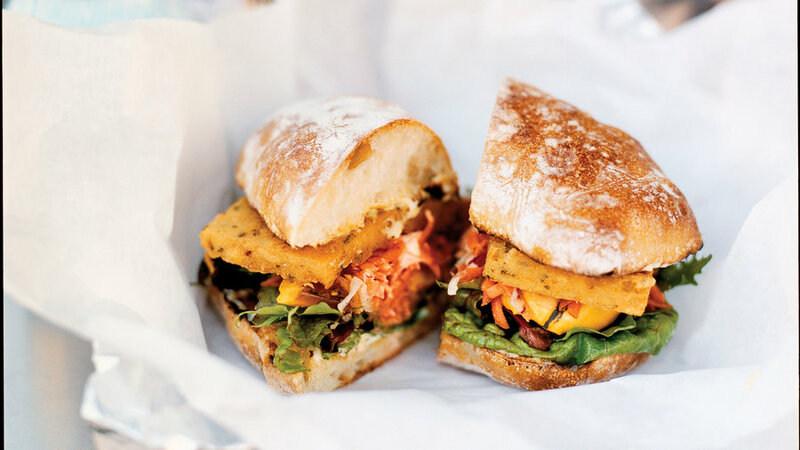 Try our simplified version with carrot slaw and spicy lemon mayonnaise for an exceptionally tasty vegetarian sandwich. This version is like a Monte Cristo ― only better. The parmesan crust is pure genius. 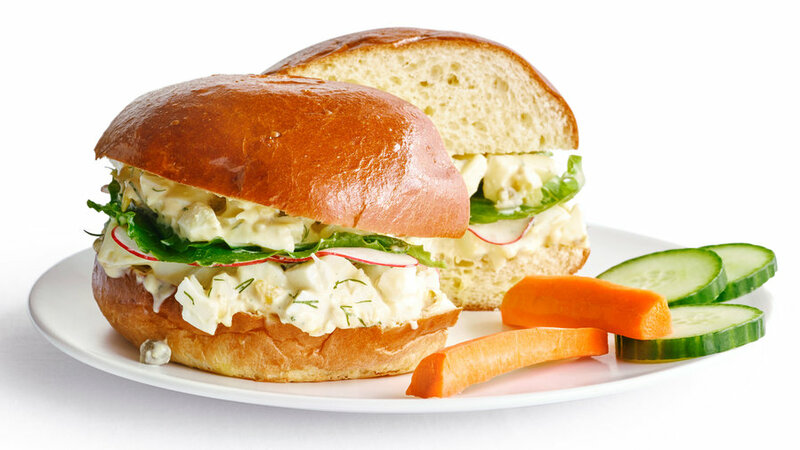 Bright seasonings, crunchy radishes, and buttery brioche buns give egg salad sandwiches a gourmet spin. 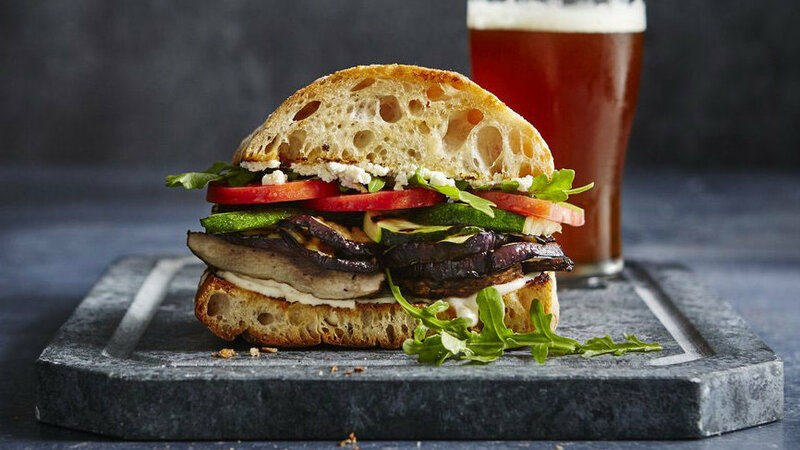 For these vegetarian sandwiches, the grill adds a smoky complexity to eggplant, mushrooms, and zucchini, and it also crisps up the bread. A Sunset reader flavors steak with a quick soy marinade, then grills it and sandwiches the meat with vegetables and a spicy mayo. 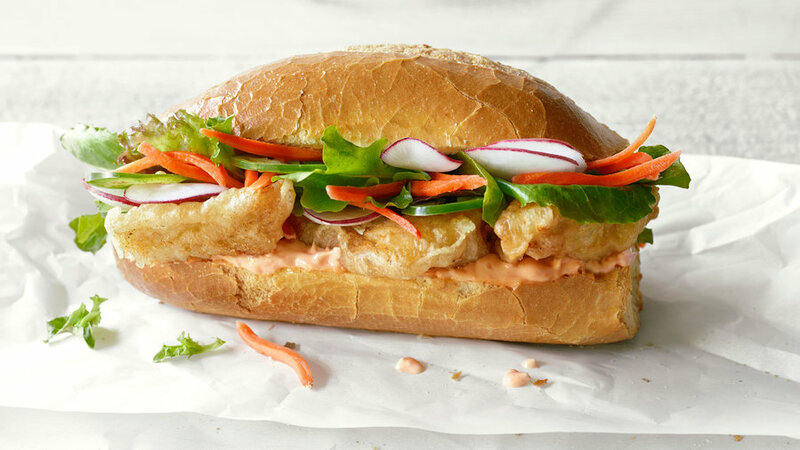 Club soda and baking powder help create the light coating for the fish in these Vietnamese-style sandwiches; raw carrots and radishes add extra crunch. Make the marmalade ahead so you can whip these babies out in just a few minutes. Leftover marmalade is also terrific on pork chops and roast beef. 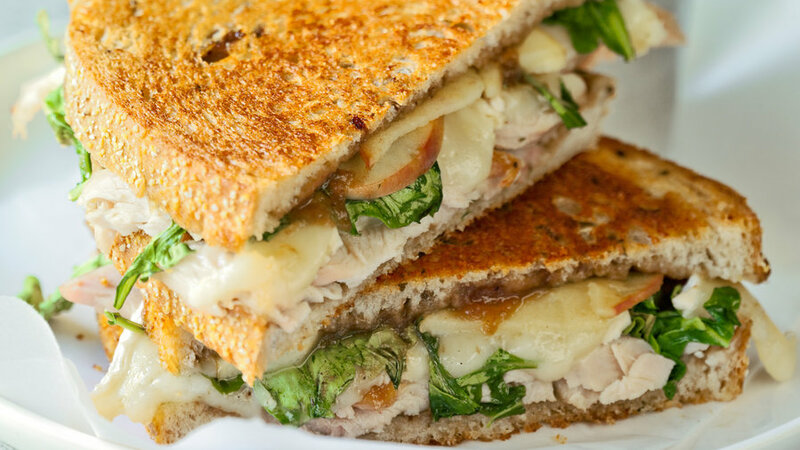 Apple butter used as a spread makes these grilled turkey sandwiches special, and apple slices add a little crispness. 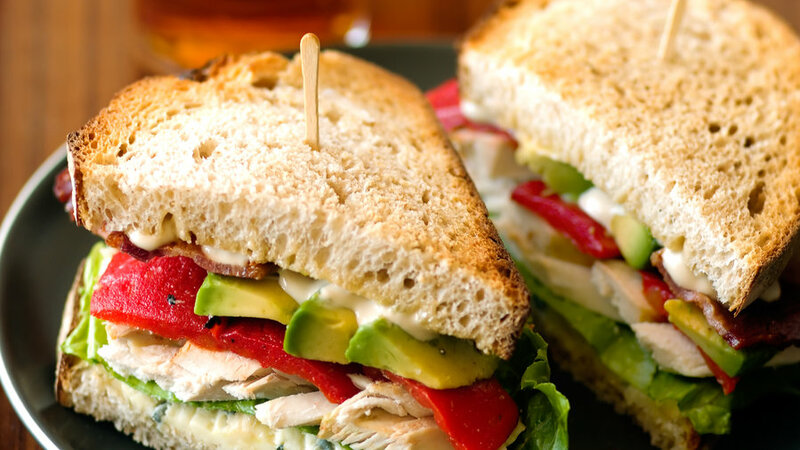 This sandwich version of the classic salad is excellent as is, but feel free to change it up by adding roasted peppers, garlic, or other favorite ingredients. 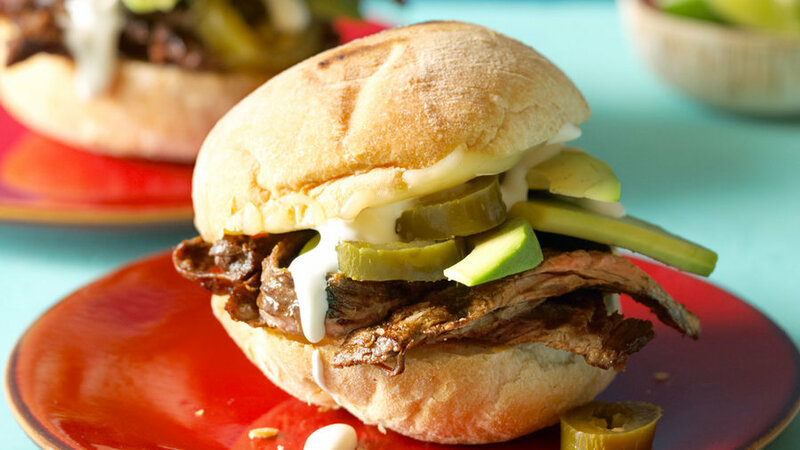 We loaded up the crusty Mexican sandwiches called tortas with grilled marinated steak, avocado, jack cheese, and jalapeños. 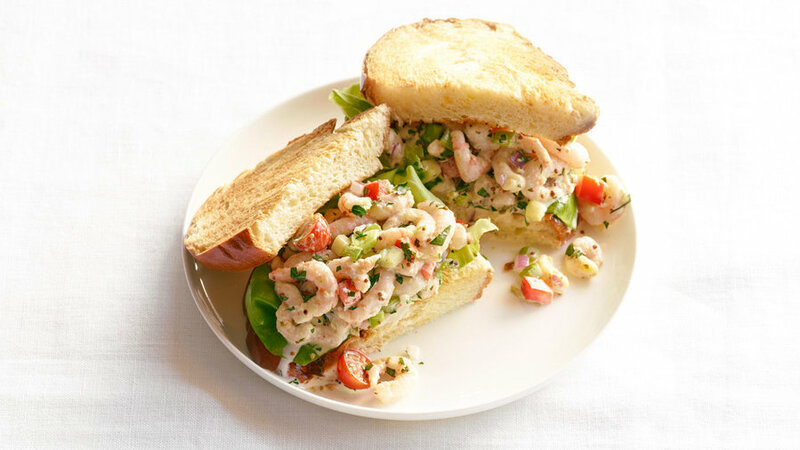 A generous mound of shrimp, diced vegetables, and fresh herbs go into our sandwich version of the classic salad. 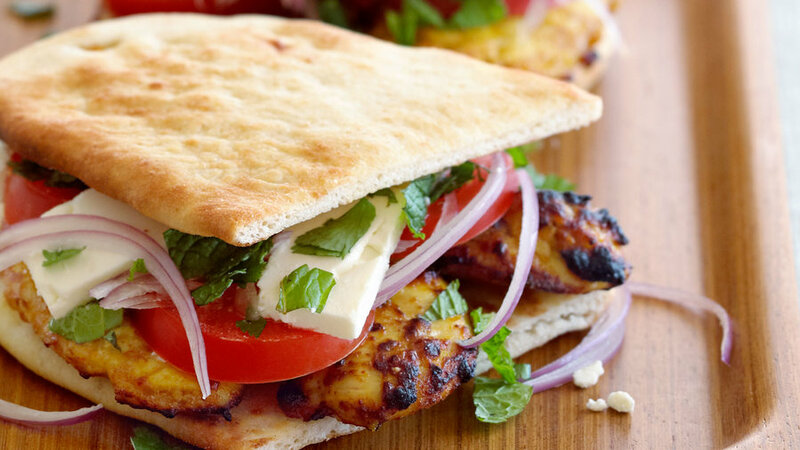 A Sunset reader made a nontraditional—and delicious—version of tandoori chicken by pairing spicy yogurt-marinated meat with feta with tomato. 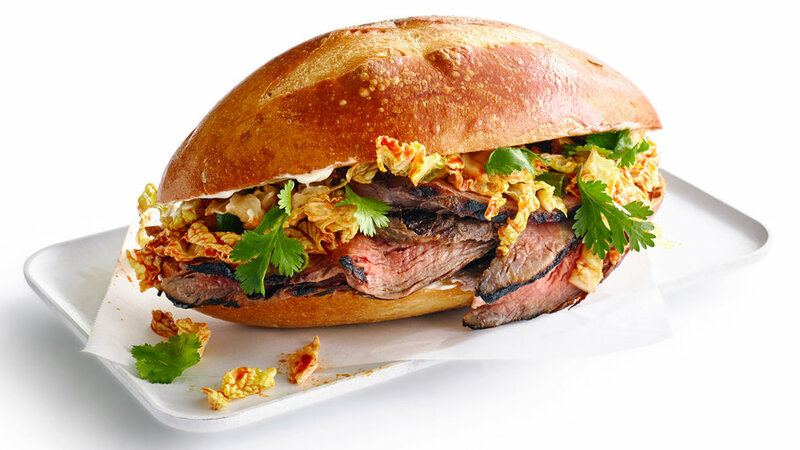 The combination of a sweet-salty marinade for grilled flank steak with a spicy napa cabbage slaw makes these pretty much addictive. Wimpy lunch? Not this knockout sandwich. 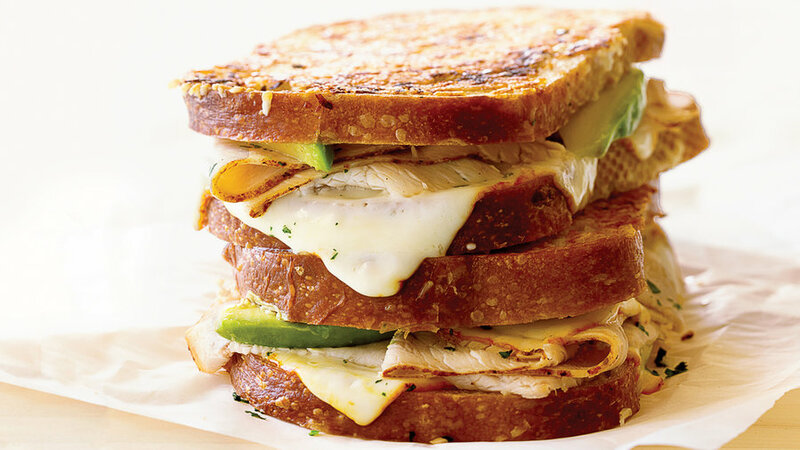 Crunchy bread gets a creamy kick from blue cheese and mayo; top it with chicken and avocado. 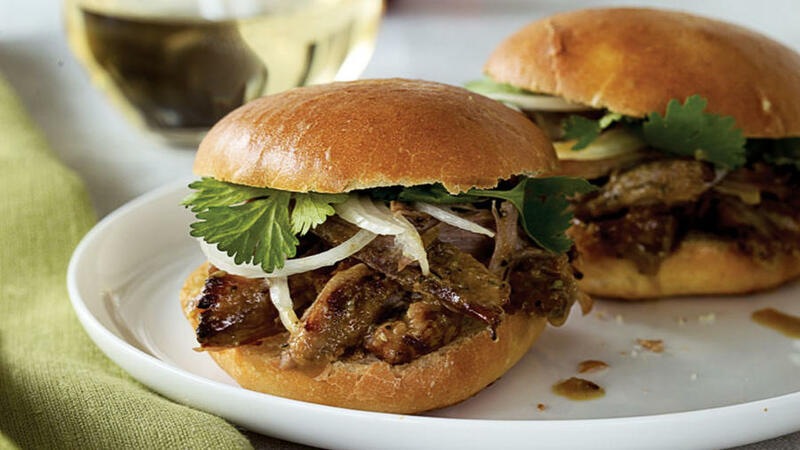 It's an extra-special midday pick-me-up, or an all-in-one weeknight dinner. 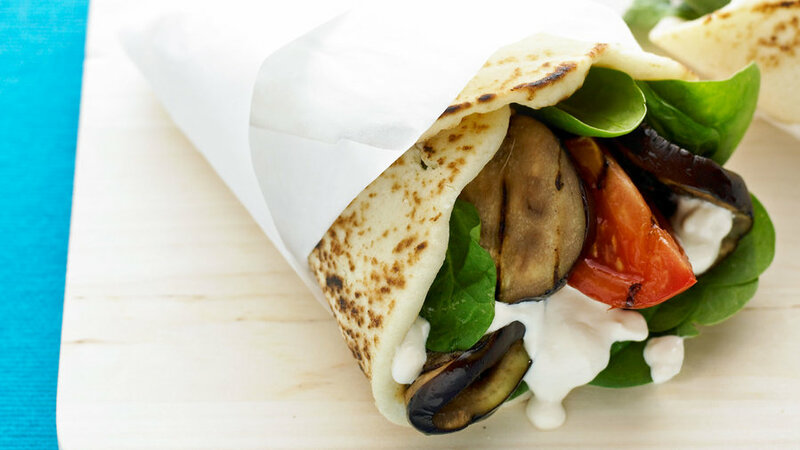 When you’re looking for a good grilled option for vegetarian diners, these hearty vegetable wraps are one of our favorites. 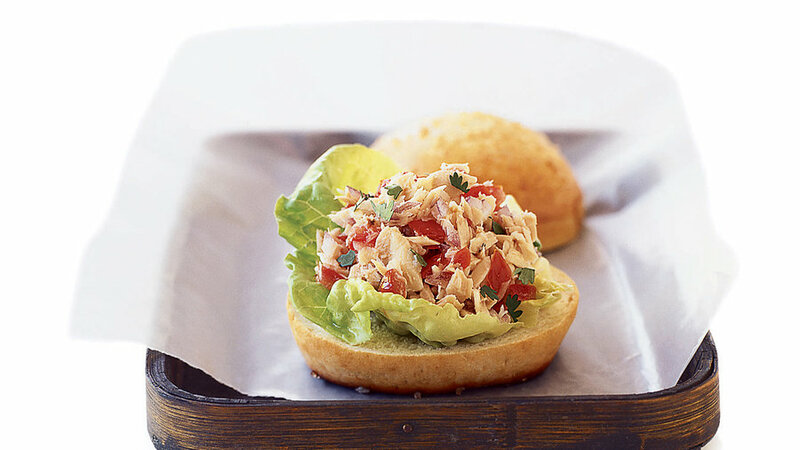 We love how spicy this sandwich is, but if you prefer less heat, cut back on the chipotle mayo and the green chiles. 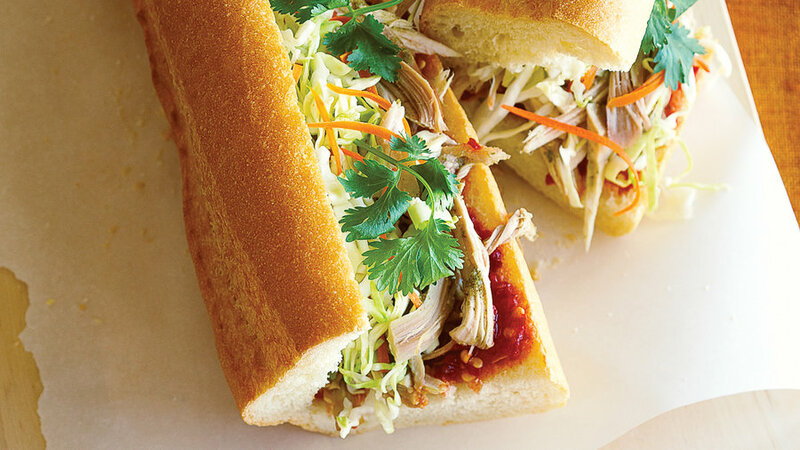 Chinese five-spice, hoisin sauce, and a generous topping of fresh herbs give this version of bánh mì plenty of personality. A long, slow braise with citrus juices makes the meat meltingly tender; then you brown it in the oven to develop the flavor even more. 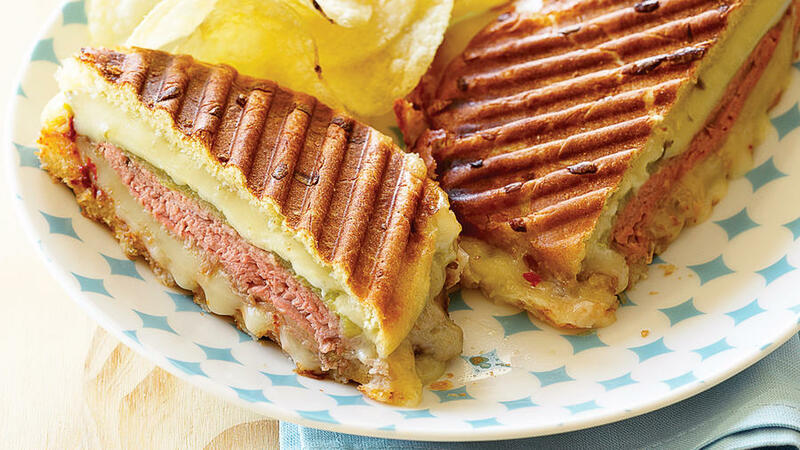 These summer-inspired sandwiches are perfect for a quick and satisfying weeknight dinner that works anytime of the year. 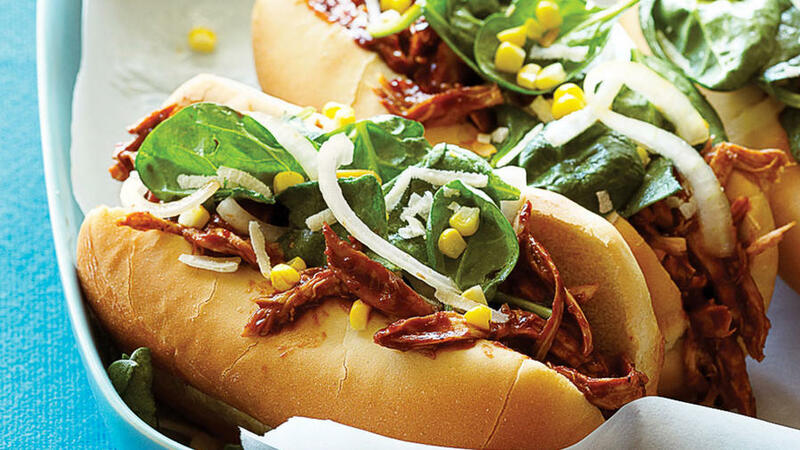 You can find most of the ingredients for these quick subs pre-prepped at the grocery store. 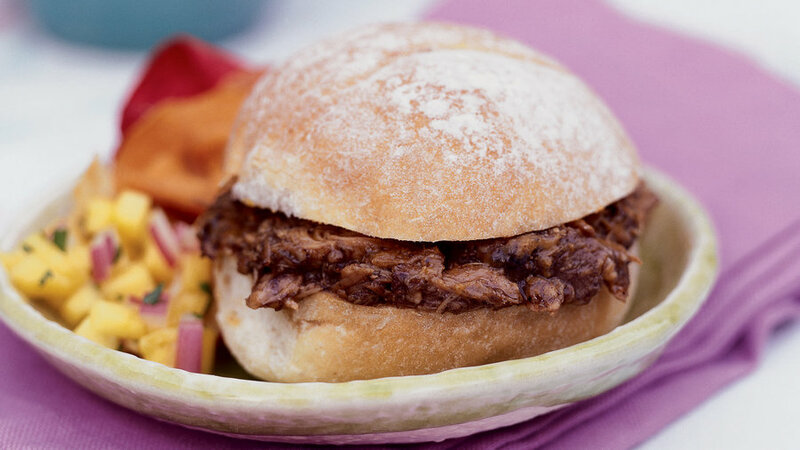 We've borrowed the deep-South tradition of pulled pork sandwiches and pointed it in the direction of the Caribbean by using classic Jamaican seasonings: thyme, allspice, and garlic. 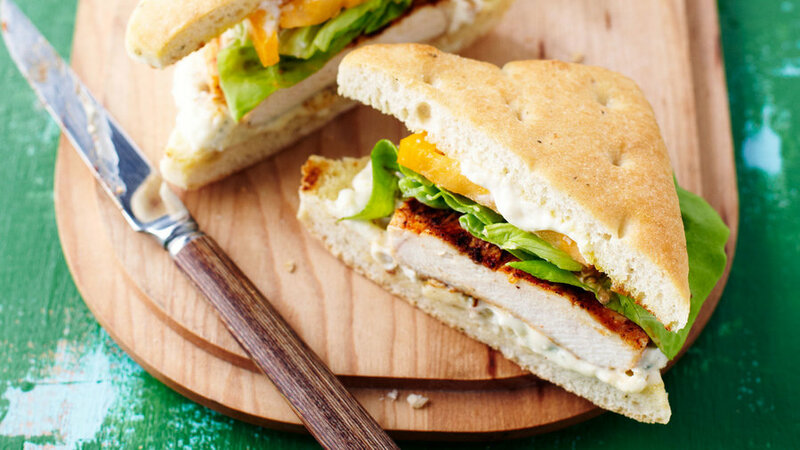 Make a quick basil mayo, then use it to baste the chicken and spread on bread for the grill, and smear inside the sandwiches. 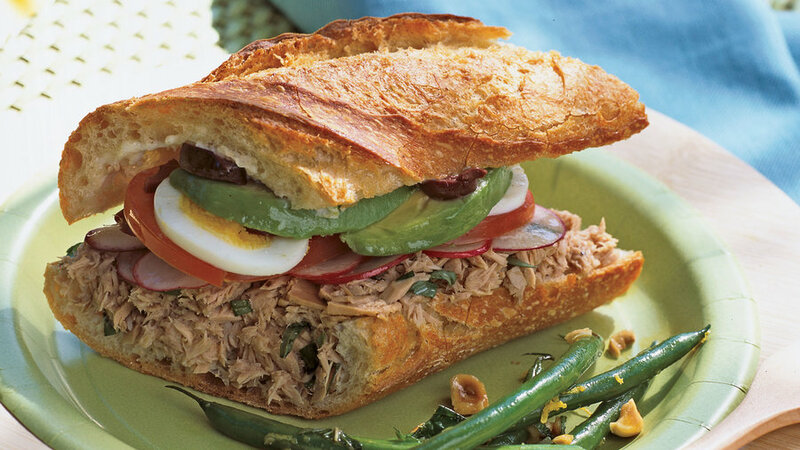 We love the way the fresh tastes of cilantro and lime brighten the flavor of canned tuna in this Mexican-style sandwich. 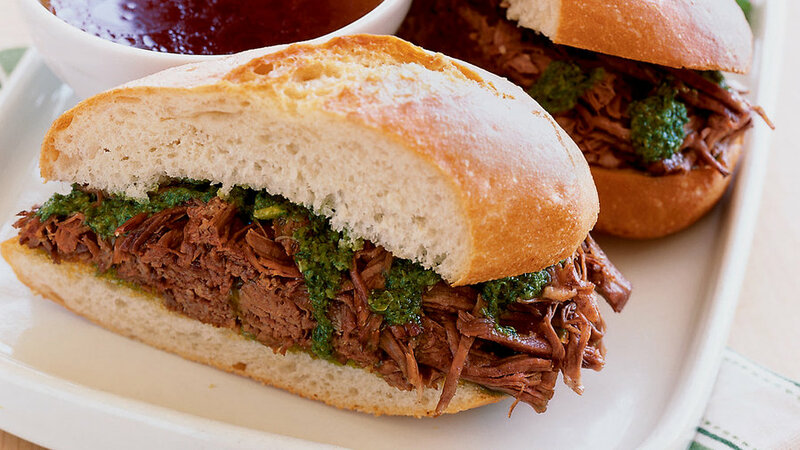 Try using less expensive dark meat in this sandwich; it will stand up well to the pungent dressing. 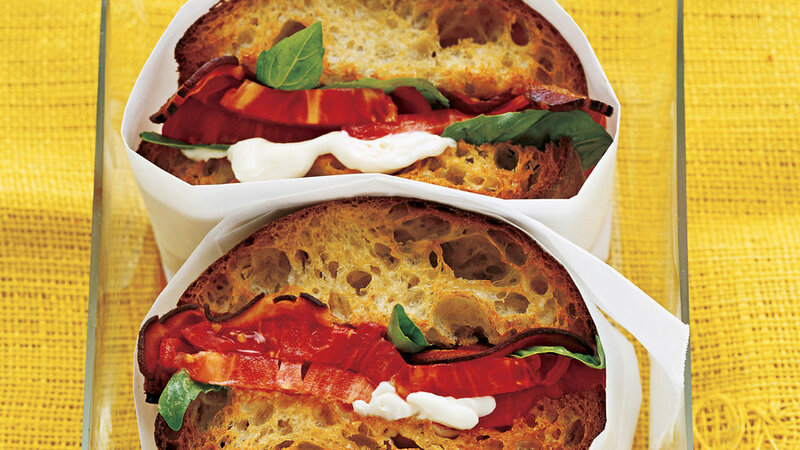 Here's a fun twist on the classic BLT: Instead of lettuce, sub in 4 to 6 basil leaves. 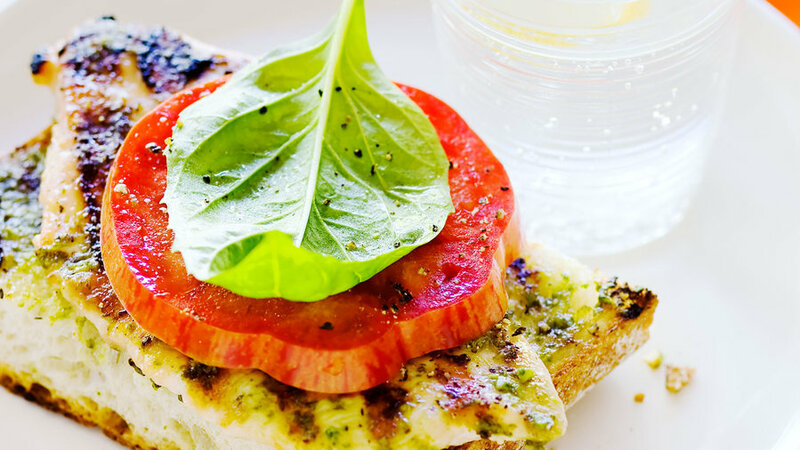 We recommend Sunset's Red Horizon tomato for this recipe, its meaty, heart-shaped fruit is perfect for sandwiches. 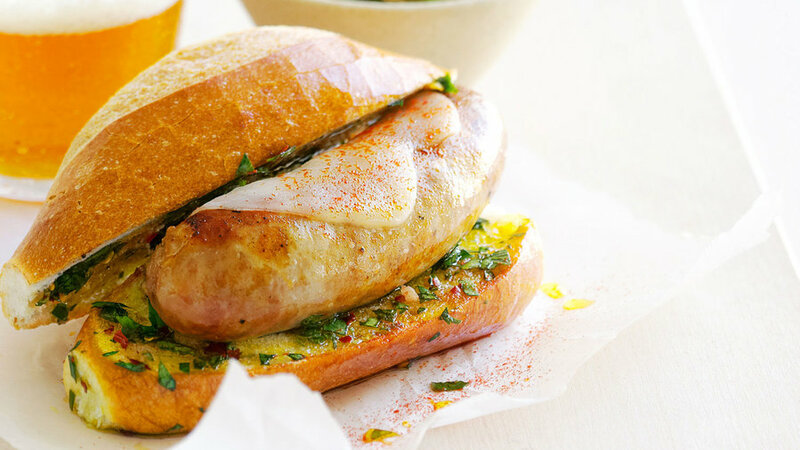 Chimichurri, a fresh herb vinaigrette made with garlic and red chile flakes, takes just a few minutes to make but adds loads of bold flavor to these sandwiches. 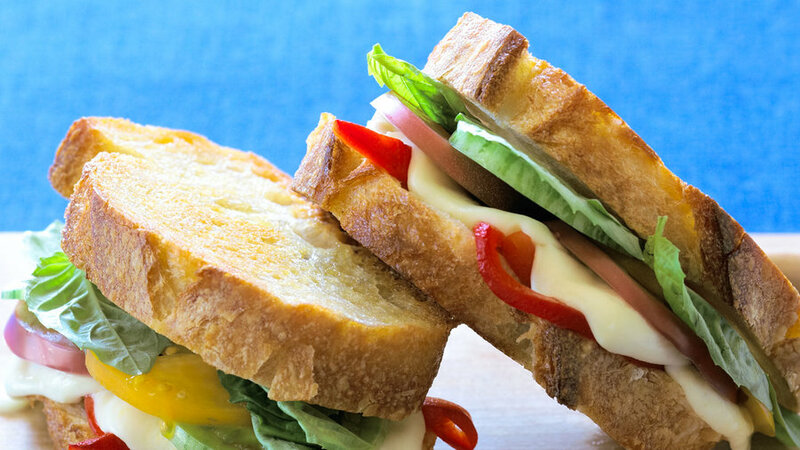 The French salad only gets better when you add avocado and tuck it all between sourdough bread.